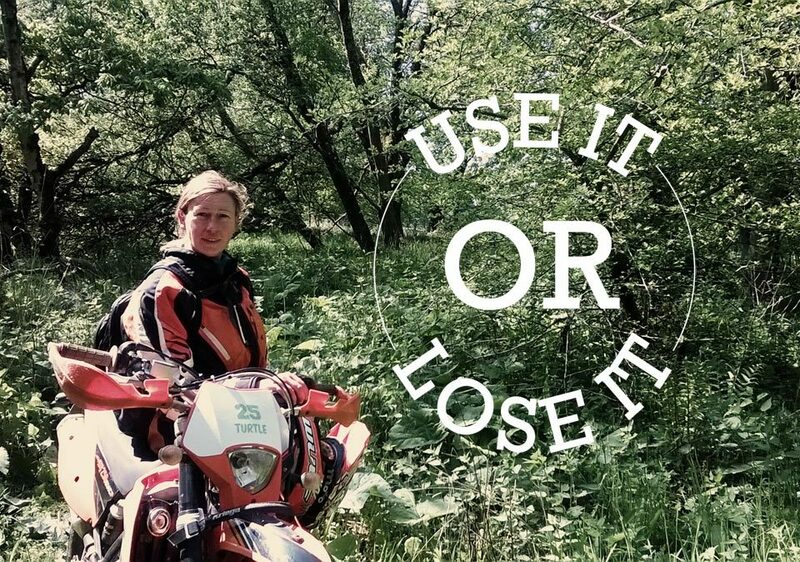 Devon has some of the largest concentration of Green Roads in the UK. The fact that they have retained access whilst much of the network is being closed elsewhere is not down to just good luck. Recently a Green Road was at risk of being lost due to the poor condition of a bridge that it crossed. 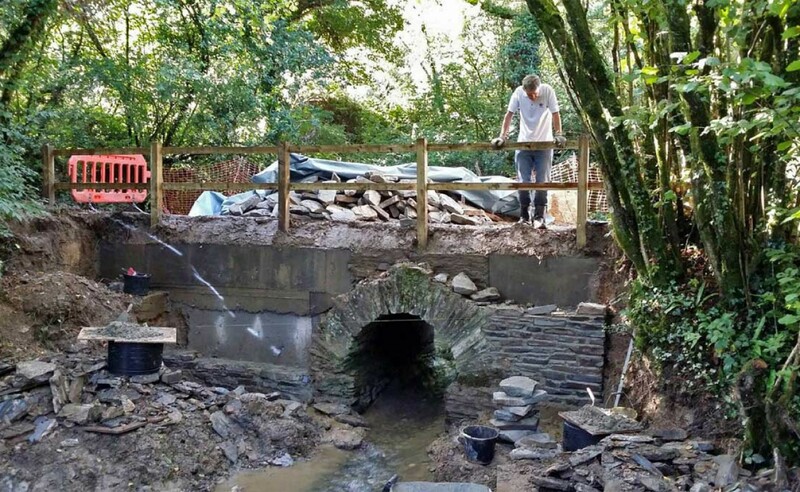 John Harvey (Devon TRF) explains how constructive dialogue with the local council and an injection of TRF man power and money repaired the bridge and reopened the road. Ashwell Lane, near Harbertonford in the South Hams district of Devon, is a beautiful steep sided Holloway lane, it is characterised by being washed down to bedrock upon its north facing valley side and at the opposite lower end of the lane it is complemented with a beautiful stone built ancient bridge spanning a small stream. Holloway lanes (from “hola weg” old English meaning a sunken road) are deepened by water coursing down them combined with the passing of traffic over the centuries. In Ashwell lane’s case it was this water running down it that had caused serious problems to the bridge itself as over a period of time water had managed to get into the very fabric of the old bridge resulting in one of the downstream bridge walls collapsing away and major cracks appearing on what remained. 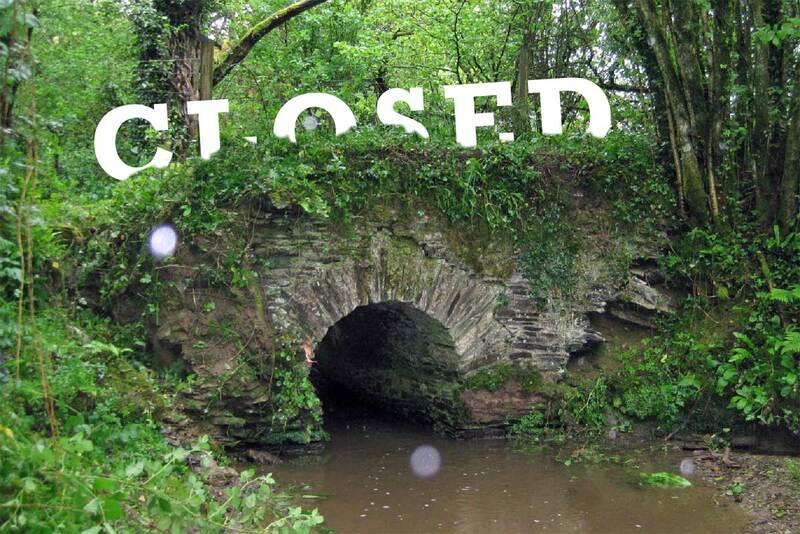 The bridge was in such a poor condition that a Temporary Traffic Regulation Order (TTRO) was brought into effect on the 14th of August 2014 and with that came locked gates at either end meaning that this old lane was now closed to all users for possibly the first time in its history! 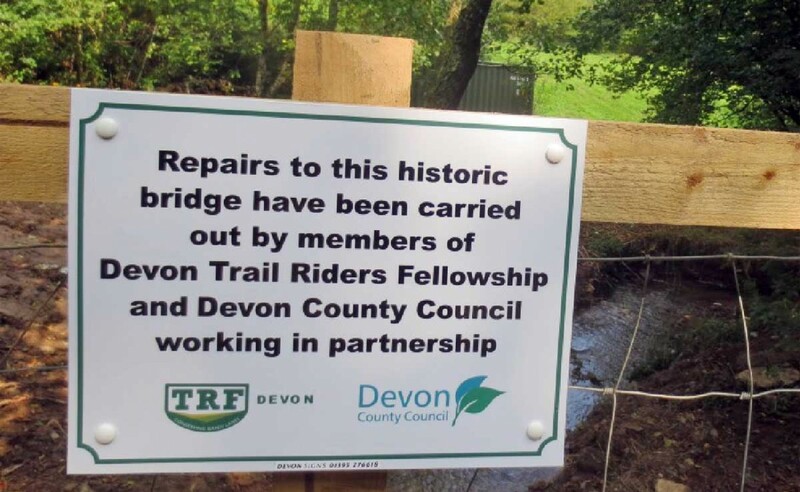 The Devon branch of the Trail Riders Fellowship (DTRF) have for many years undertaken repair work and lane clearing on green lanes and in more recent years this work has been discussed and agreed with Devon County Council (DCC). So for example Back Lane in Colaton Raleigh had a 20”(500mm) deep pool of water across it due to a lack of drainage and in October 2014 DTRF made good this lane using 12 tons of stone that it also supplied. It was from work like this that DCC became increasingly aware of the DTRF as an organisation capable of undertaking repair work to their required standard. 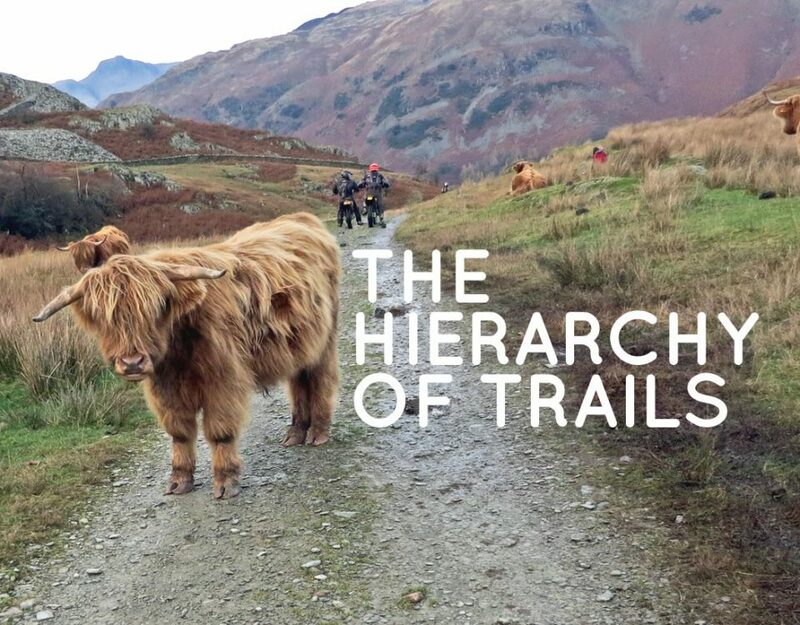 At one of DTRF monthly meetings the idea of taking on more ambitious conservation work was first discussed and a meeting was arranged between DTRF and DCC in April 2015 at County Hall to formally discuss this idea. 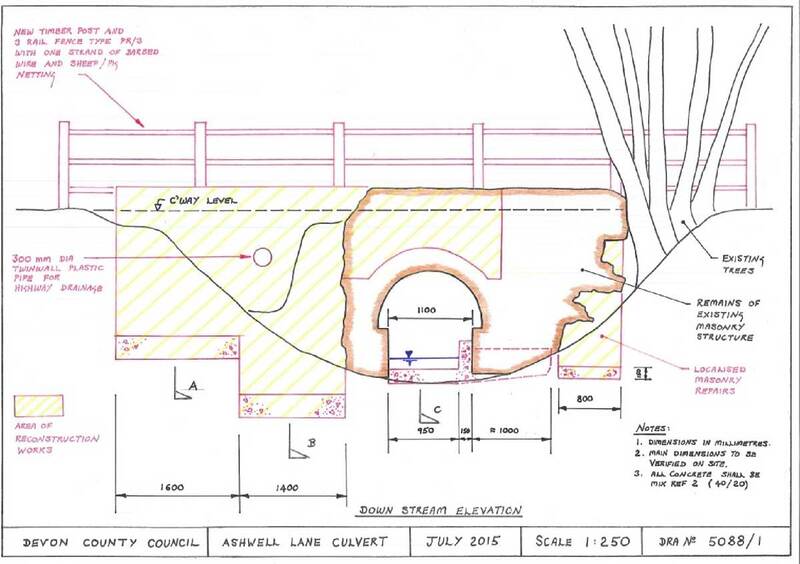 A few months after the meeting DCC contacted DTRF regarding the old bridge on Ashwell Lane and both sides agreed to investigate the possibility of a collaborative approach on a project like this. What work needs done and how much will it cost? The first step taken was to have a qualified and experienced bridge engineer from Devon County Councils Bridge department carryout a survey of the badly damaged bridge and from this create a set of working drawings with a provisional cost estimate for the projected repair. The initial estimate was too high given the relatively low priority that is unfortunately given to old lanes like Ashwell Lane, at least in these days of reduced budgets. 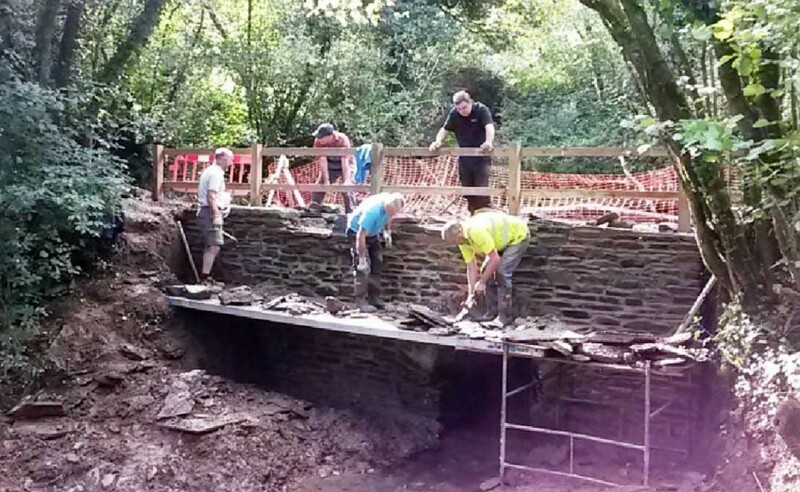 Following a number of site visits and discussions a working agreement was made where one of DCC contractors would undertake the structural work and the DTRF would complete the stone masonry work on a voluntary basis. With this plan in place the costings were now under budget so the work to bring about saving this very old bridge from potential collapse was now going to happen. 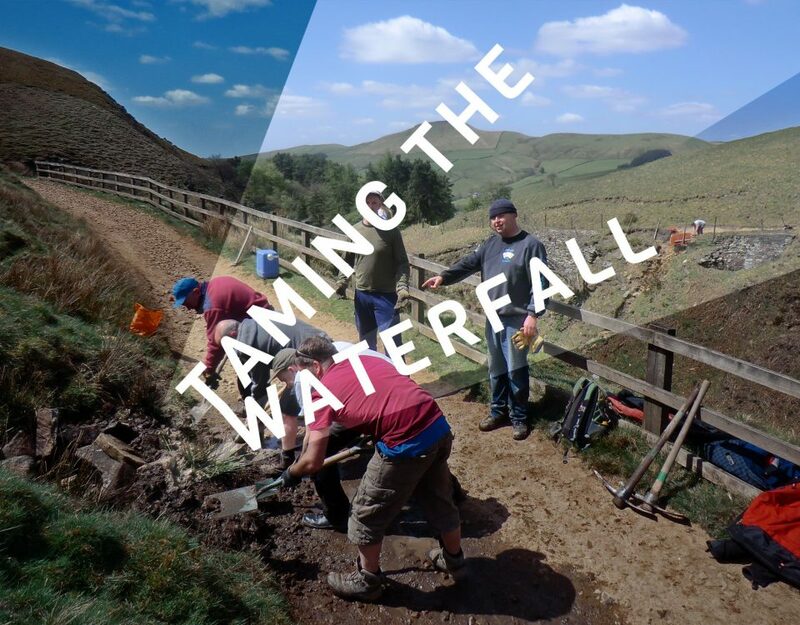 A timetable for the project was drawn up and agreed with the express intention of having the repairs finished before the onset of winter and the risk of more rain damaging the vulnerable bridge. The DCC contractor had the considerable task of removing the damaged bridge sections and reinstating sections of the bridge for the beginning of September. 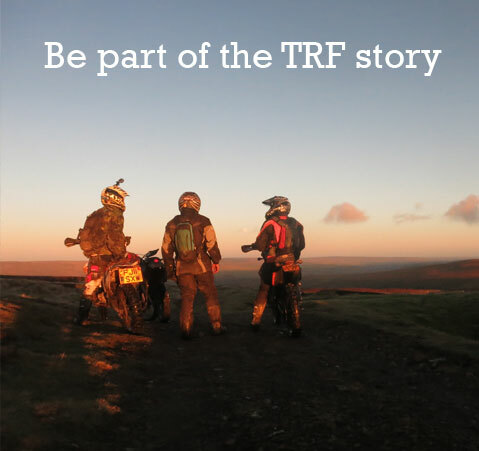 The volunteer DTRF group effort was scheduled for three consecutive Saturdays running from the 12th & the 19th through to the 26th of September. 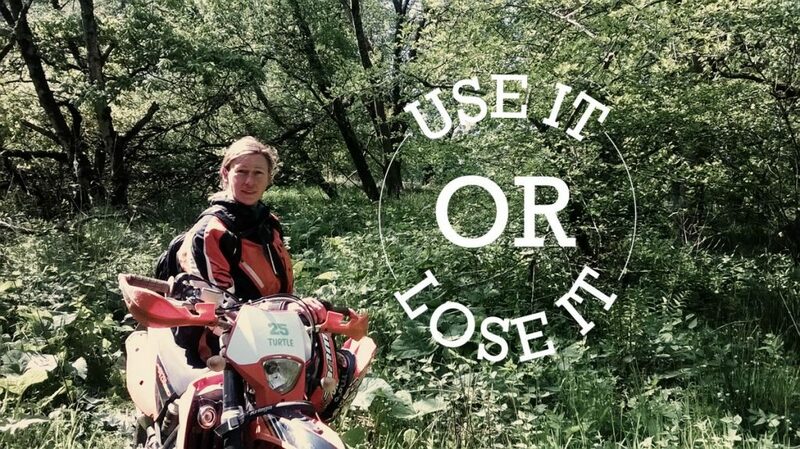 With a timetable in place and a commitment to honour what was really needed now were enough people to volunteer themselves and some highly skilled ones at that! 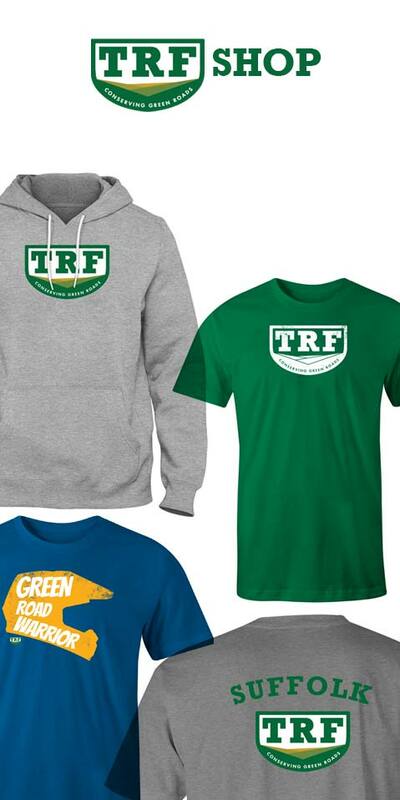 Devon TRF has a membership from a wide range of occupations with a decent percentage of highly skilled craftsmen amongst them. 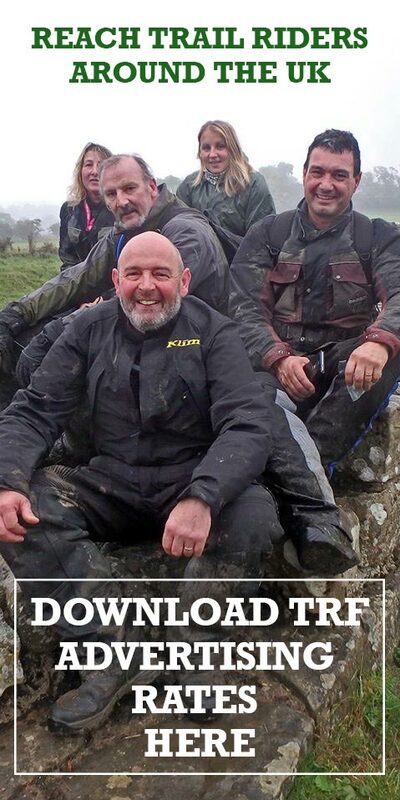 A request for volunteers was made on DTRF’s very active forum which fortunately soon brought the generous offer from three skilled stone masons who each volunteered themselves for all THREE DAYS …fantastic!!! The forum call for volunteers was combined with an email to members who lived within a 15mile radius of Ashwell lane that resulted in enough volunteers for labouring duties that a small reserve list was created! Saturday 12th of September and the work commenced. Some 10 tonnes of stone, sand and cement (DTRF used their funds to pay for the sand & cement) had previously been delivered to the site with the plan to use as much of the original stone as possible. With just the one day a week available to work on the bridge it was a blessing to have a forecast for a dry and sunny day ahead. The first arrivals busied themselves getting the cement mixer going and so commenced a true landmark day in the history of Devon TRF. 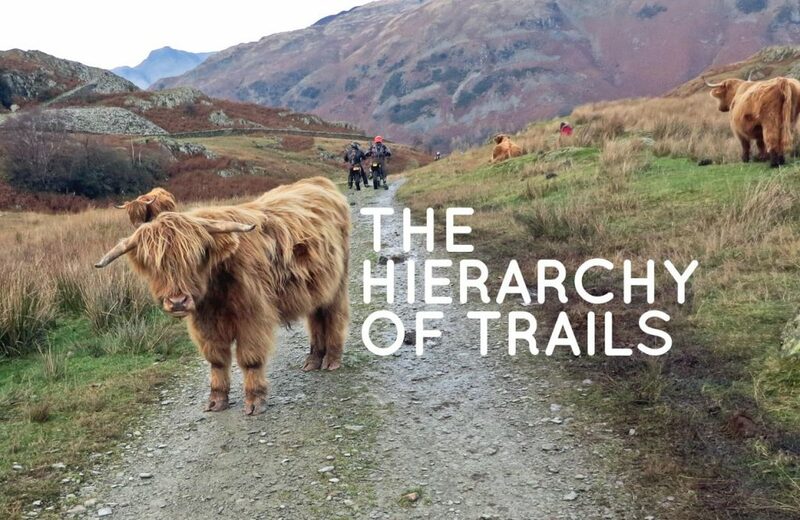 As the day went on it was becoming clear such good progress was being made that there was now talk at the end of the day of the possibility of completing the project early… we shall see! One week on, Saturday 19th September. 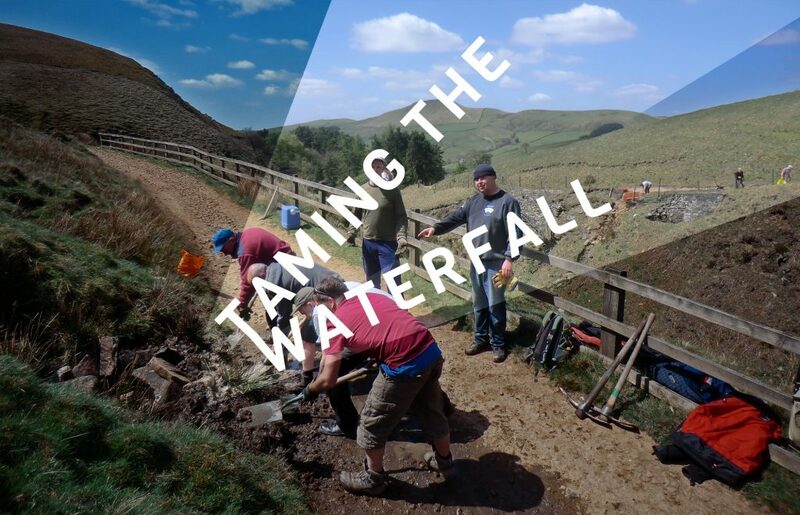 On the Friday before, two volunteers prepared the site for the next day’s work by putting up a support tower and platform so the stonework could continue on its way upwards. Thankfully the weather played its part and we were rewarded with another day of perfect September sunshine. Yet again progress was good with the cement mixer going all day and someone even remembered to bring a gas hob and kettle… so it was cups of strong builders tea all round! As the bridge wall reached the height of the old lane an overhanging ledge was formed to channel the rain water from the lane towards the stream and away from the bridge. Incredibly by early afternoon the finish was within sight, we were now certain to be finished on day two! 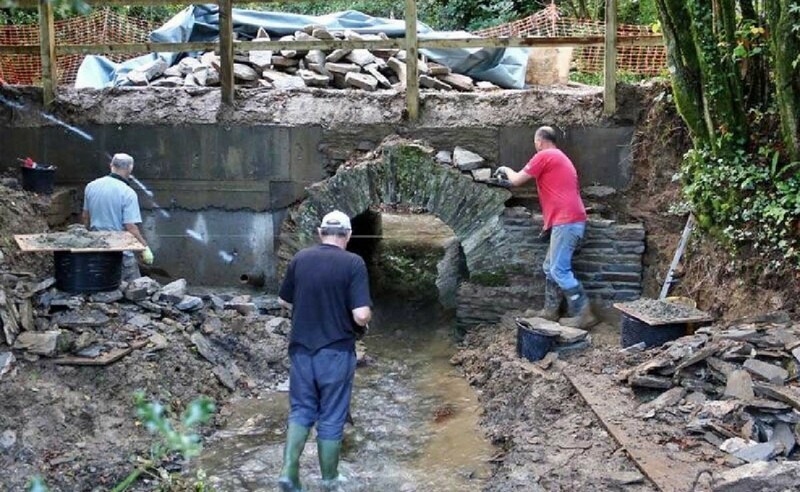 The last stage was to build the raised bridge parapet and two further rain diverting channels just up from the bridge on the lane and that was it, we had done it… we had finished! The following week the DCC contractors returned to backfill and landscape the wing walls and most important of all they removed the padlocks along with the posts and gate. 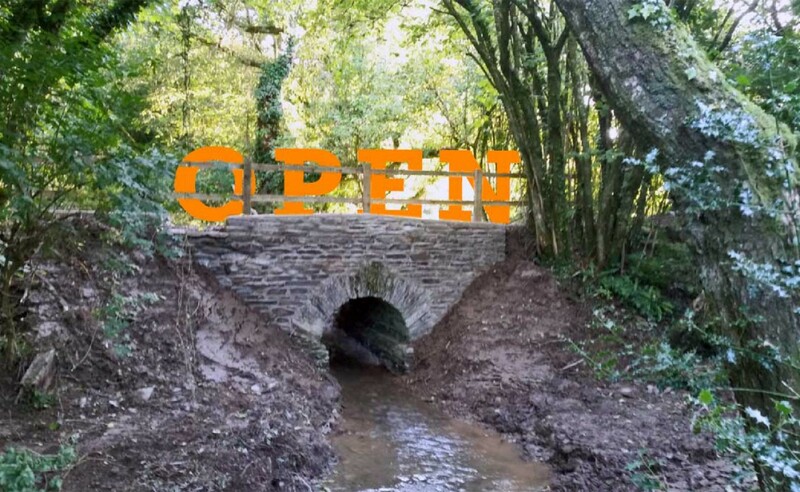 After being closed for over 13 months, Ashwell Lane is now finally open again for all users to enjoy. 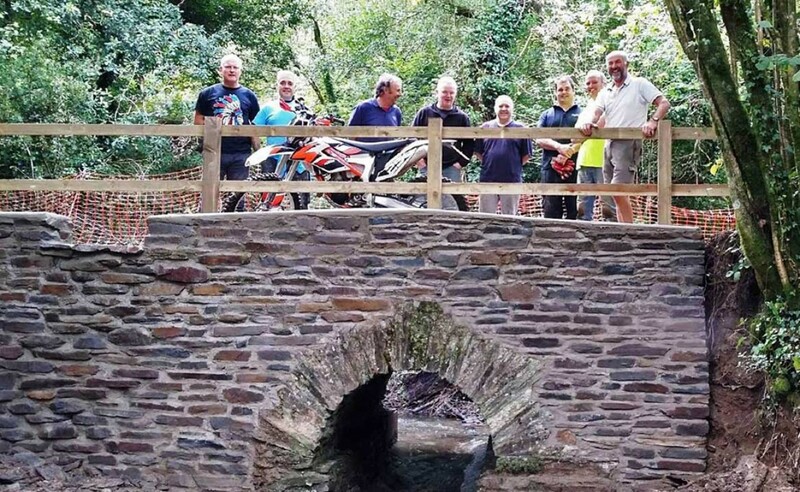 Ashwell Lane Bridge is repaired and reopened through a collaborative project between Devon TRF and Devon County Council. 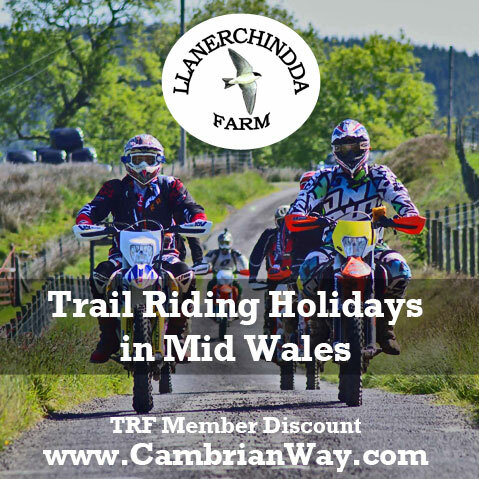 An example for all TRF groups and Local Councils throughout the UK. 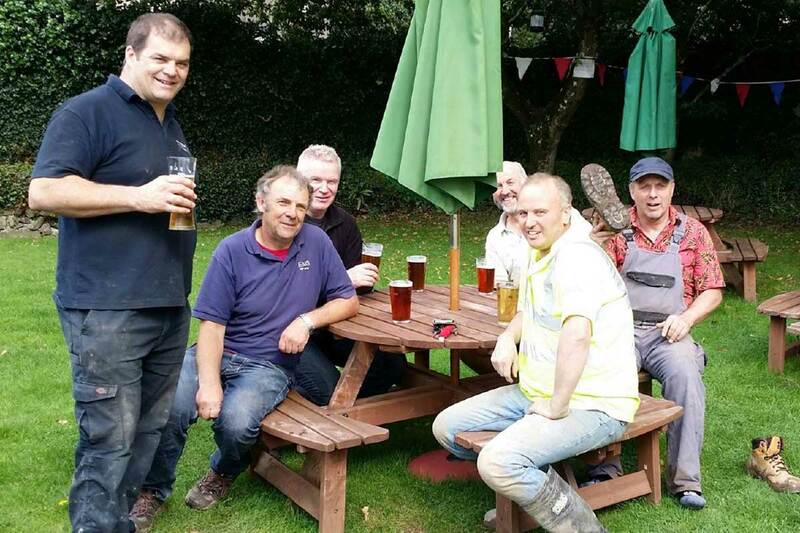 This project was made possible through constructive dialogue between Devon TRF and their local council. If you would like to improve dialogue with your own local council John Harvey is happy to share a few tips. Contact him here.